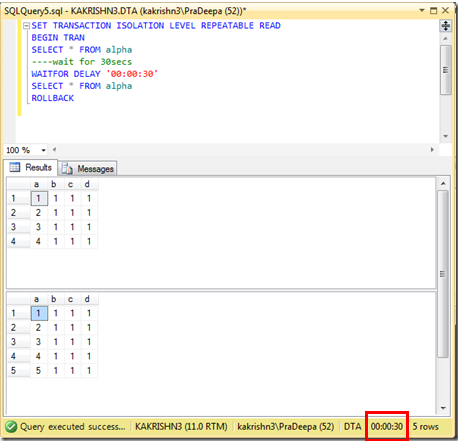 SQL Server acquires a share lock while reading a row into a cursor but frees the lock immediately after reading the row. Because shared lock requests are blocked by an exclusive lock, a cursor is prevented from reading a row that another task has updated but not yet committed. 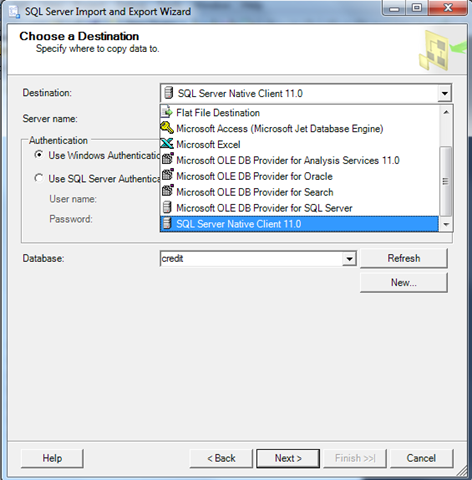 Read committed is the default isolation level setting for both SQL Server and ODBC. 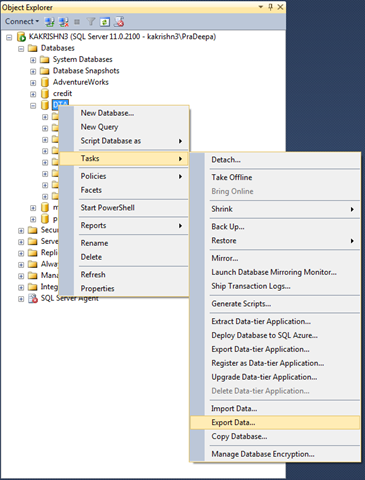 SQL Server requests no locks while reading a row into a cursor and honors no exclusive locks. Cursors can be populated with values that have already been updated but not yet committed. 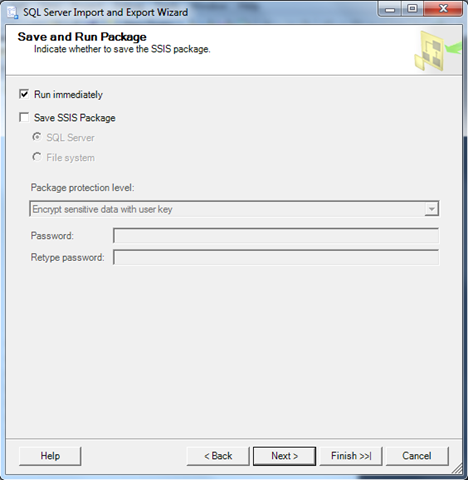 The user is bypassing all of the locking transaction control mechanisms in SQL Server. 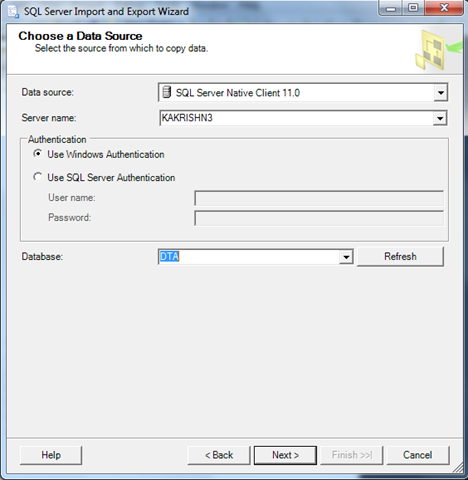 SQL Server requests a shared lock on each row as it is read into the cursor as in READ COMMITTED, but if the cursor is opened within a transaction, the shared locks are held until the end of the transaction instead of being freed after the row is read. So phantom rows are This has the same effect as specifying HOLDLOCK on a SELECT statement. In serializable read phantom reads are not allowed because while the first transaction is in progress other transaction wont execute. 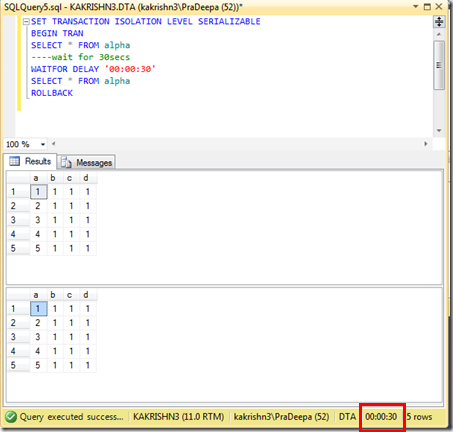 SQL Server requests no locks while reading a row into a cursor and honors no exclusive locks. Cursor is populated with the values as of the time when the transaction first started. Scroll locks are still requested regardless of use of snapshot isolation. Read uncommitted example: Uncommitted Read allows your transaction to read any data that is currently on a data page, whether that has been committed or not. For example,another user might have a transaction in progress that has updated data, and even though it’s holding exclusive locks on the data, your transaction can read it anyway. 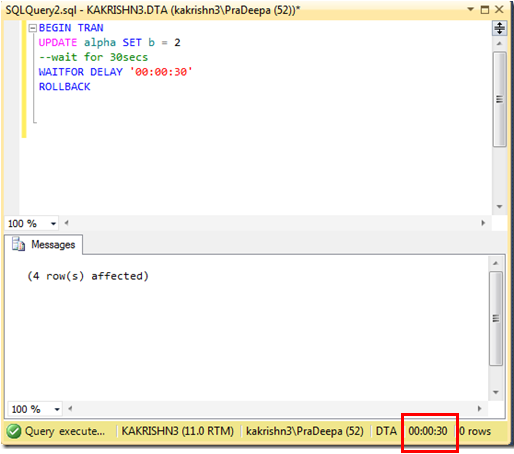 If we execute the select query before the update transaction gets committed,it will not wait for the update transaction to commits.Query will be executed immediately without any time lapse. Read committed allows your transaction to read only if the data is committed.Read Committed operation never reads data that another application has changed but not yet committed. 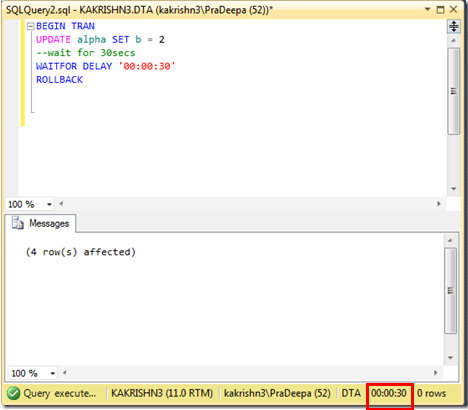 If we execute the select query before the update transaction gets committed,it will wait till the update transaction gets committed. 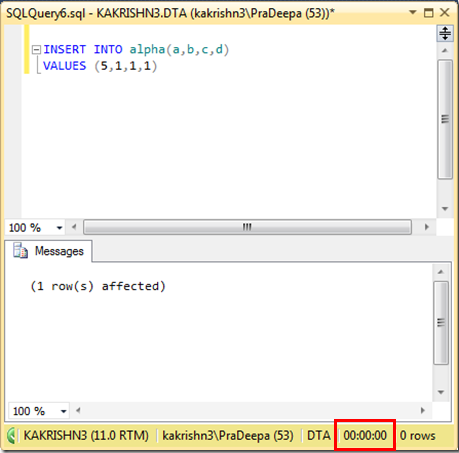 Repeatable Read example :In Repeatable Read issuing the same query twice within a transaction will not make any changes to data values made by another user’s transaction.Repeatable Read allows phantom reads(Data getting changed in current transaction by other transactions is called Phantom Reads).So phantom rows will appear. 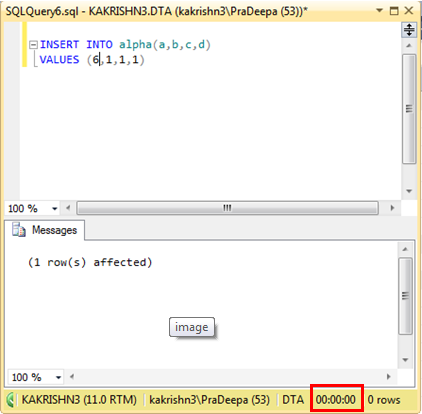 While the transaction(first query) is in progress,repeatable read allows another transaction(second query) to execute.It means it allow phantom reads.So second transaction(second query),need not wait till first transaction(first query) completes.Here values will be added before first query completes. 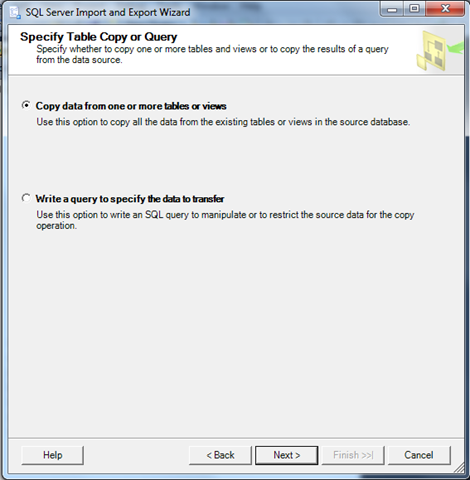 Serializable example : The Serializable isolation level adds to the properties of Repeatable Read by ensuring that if a query is reissued, rows will not have been added in the table. In other words, phantoms will not appear if the same query is issued twice within a transaction. 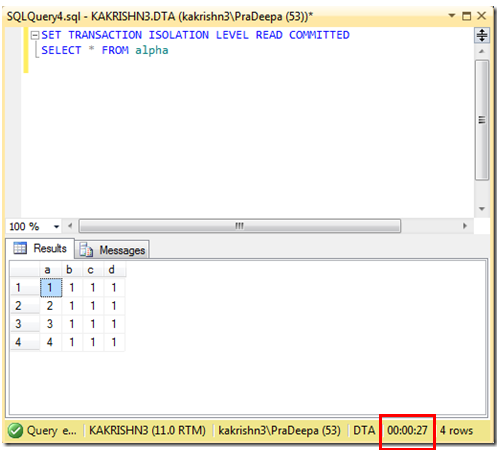 While the transaction(first query) is in progress,serializable read does not allow another transaction(second query),It means it don’t allow phantom reads.So second transaction(second query), must wait till first transaction(first query) completes.Here values will be added only after first query completes. 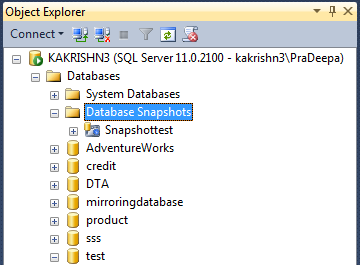 What is the use of SQL Server database snapshot and how to create SQL Server database snapshot? 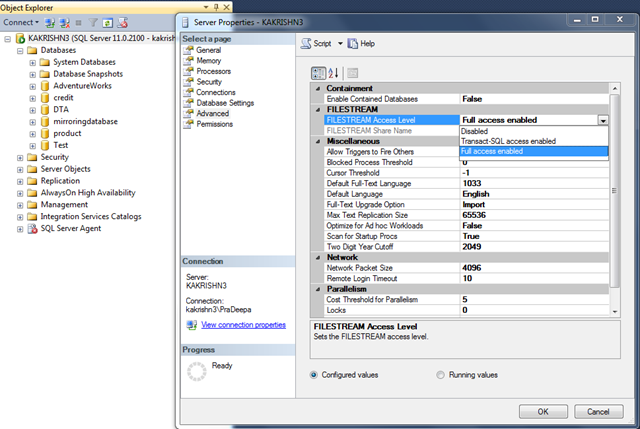 Database snapshots are available only in SQL Server 2005 Enterprise Edition and later versions. 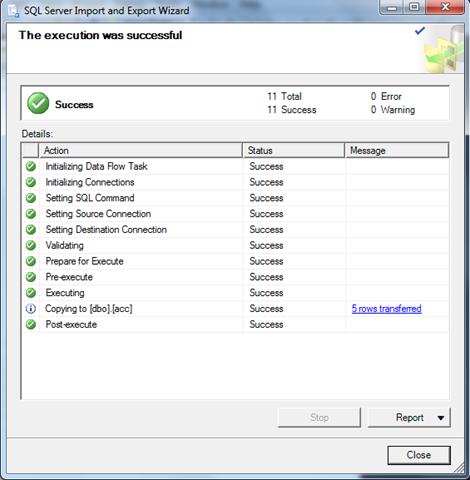 All recovery models support database snapshots. A database snapshot is a read-only, static view of the source database.Multiple snapshots can exist on a source database and always reside on the same server instance as the database. Each database snapshot is transactionally consistent with the source database as of the moment of the snapshot’s creation.A snapshot persists until it is explicitly dropped by the database owner. Snapshots can be used for reporting purposes.In the event of a user error on a source database, you can revert the source database to the state it was in when the snapshot was created. Data loss is confined to updates to the database since the snapshot’s creation. 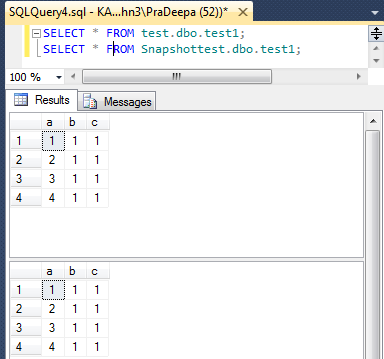 Creating a series of snapshots over time captures sequential snapshots of the source database. Each snapshot exist until it is dropped.Each snapshot will continue to grow as pages in original database are updated, you may want to conserve disk space by deleting an older snapshot after creating a new snapshot. 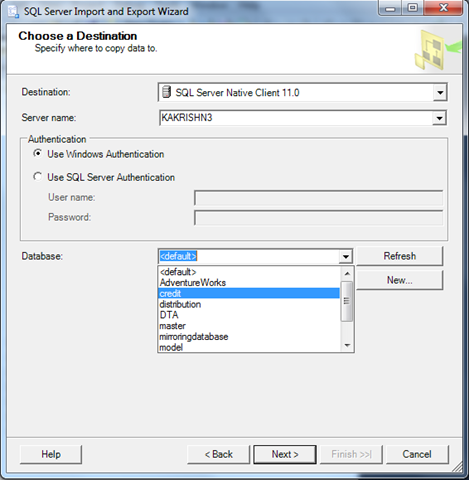 1.Create a new database or use existing database to create the database snapshots. 2.Create table and Insert values into table. 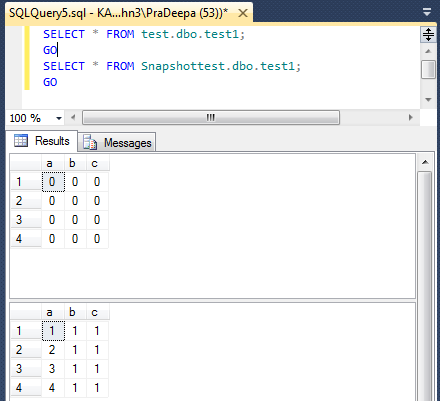 3.Create a snapshot for a source database. 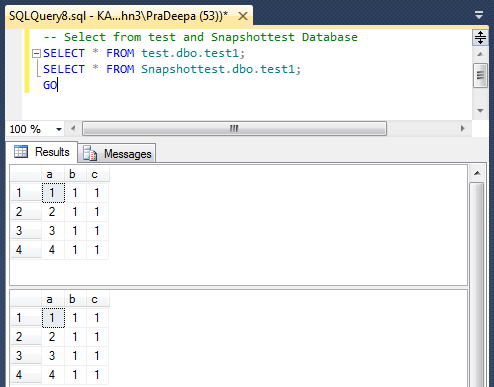 Snapshottest database is created successfully. 4.Now let us view both the source database and snapshot database. 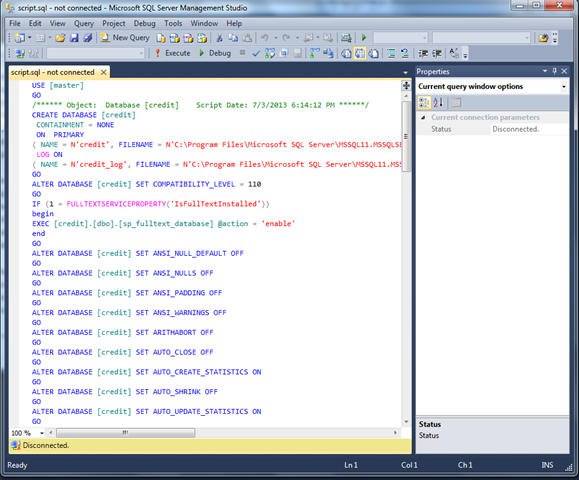 Data’s in tables of source and snapshot database are same. 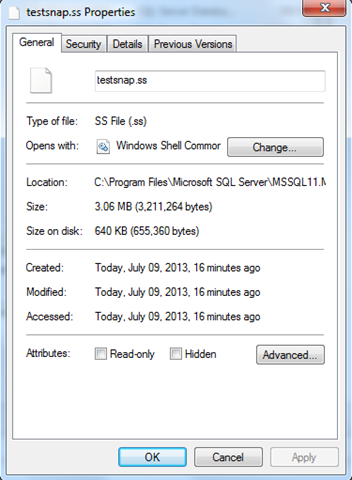 Size on disk of the testsnap .ss could be viewed by opening its properties window.Let us note the size on disk of the source database. 5.Let us update existing rows in the table. 6.After updating rows ,let us view the source and snapshot database.The values are updated only in source database,not in snapshot database.Because snapshot database is consistent with the source database as of the moment of the snapshot’s creation. But size on disk is increased,It clearly shows that when we update data in Source database, it copies the old/existing data pages to Snapshot database. 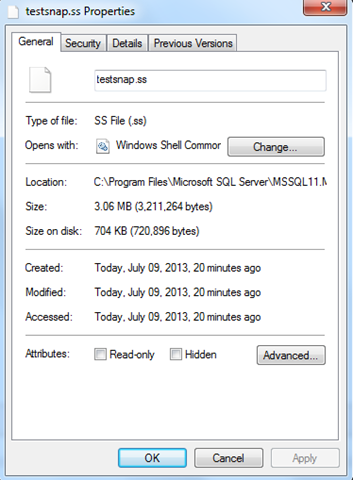 This is the reason why the size of the snapshot database is increasing while updating the source database. 7.We could revert the source database.Reverting overwrites updates made to the source database since the snapshot was created by copying the pages from the sparse files back into the source database. 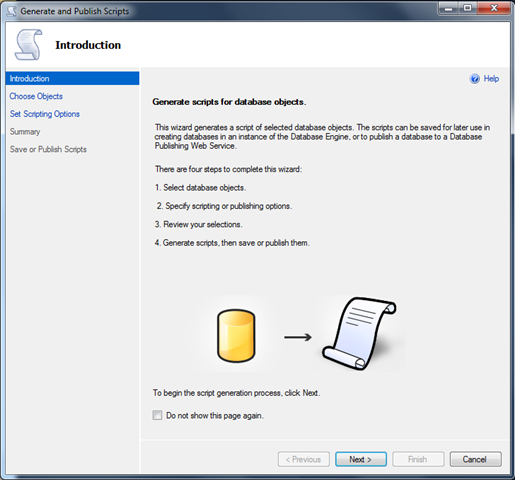 8.View the data in the tables from the source and the snapshot database after the restore from snapshot. 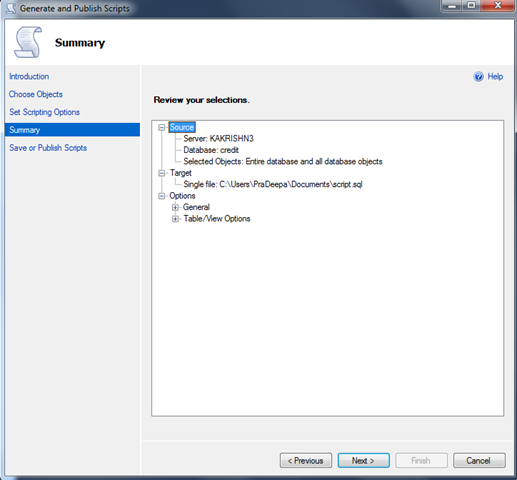 9.We drop the snapshot database like any other database using drop database command. 10. 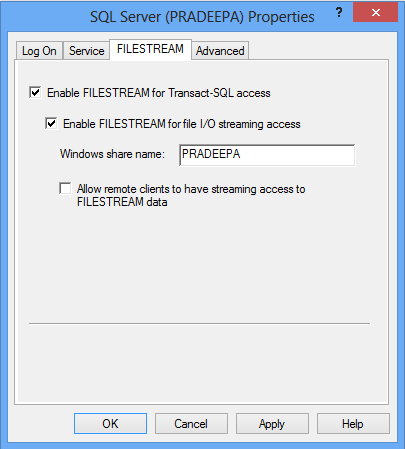 We can also create database snapshot on mirror database for load balancing. 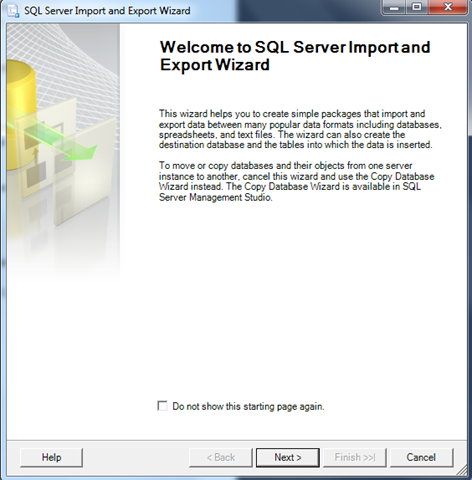 You can create T-SQL scripts for database, objects in database and insert script for data in tables by using the Generate Scripts Wizard. 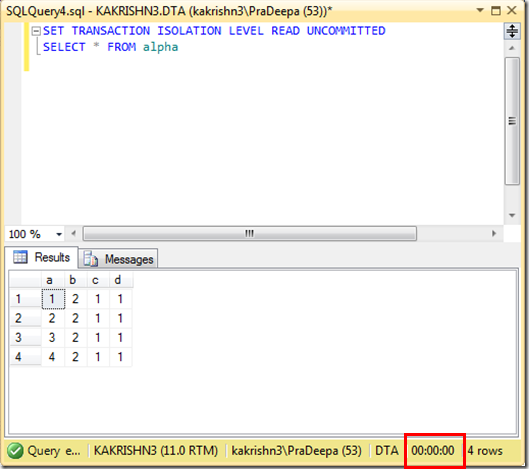 These scripts can be used to create database in secondary site with and with out data. 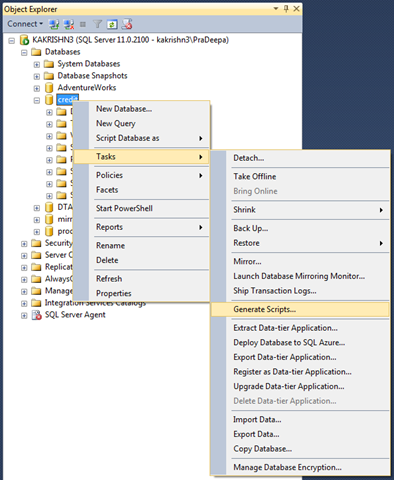 I this blog I will explain how to generate T-SQL script to create database, database objects and data. Right click the database which you want to script—>Select tasks—>Generate scripts. 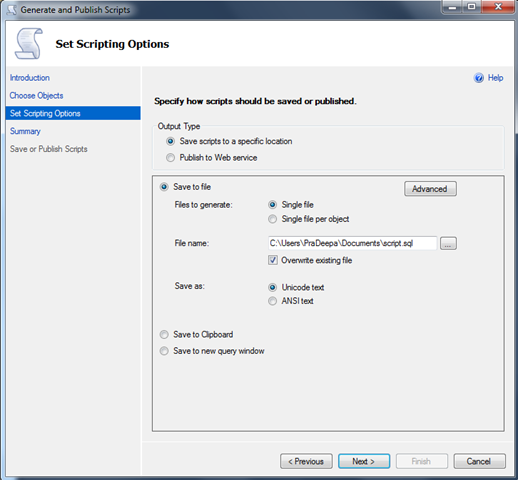 Generate and Publish Scripts wizard screen appears.click Next to continue. 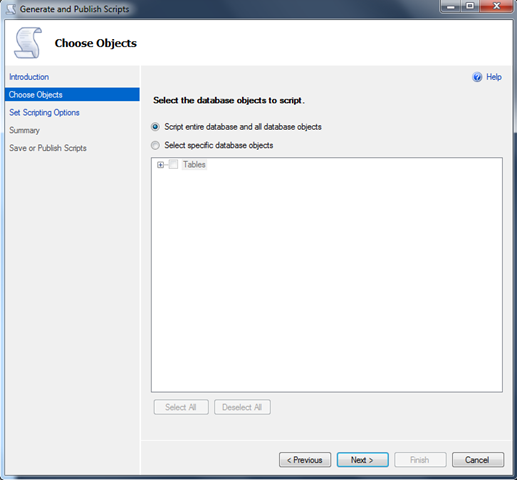 In the Choose Objects wizard screen Select “Script entire database and all database objects” option if want to script all the objects in database or select specified objects which you would like to script and click Next to continue. 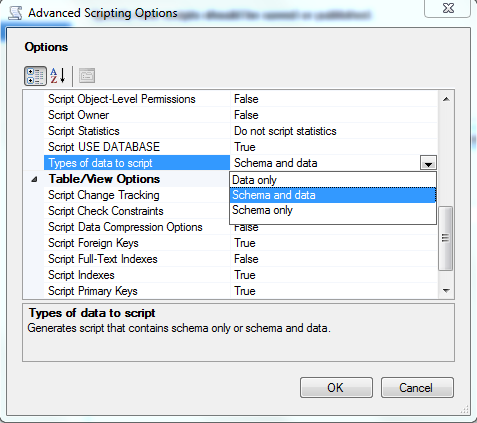 In the Set Scripting Options wizard screen.Select the output type as “Save scripts to a specific location” and specify the path where you would like to save the database script file .Click the Advanced button for specifying the schema and data scripting option. 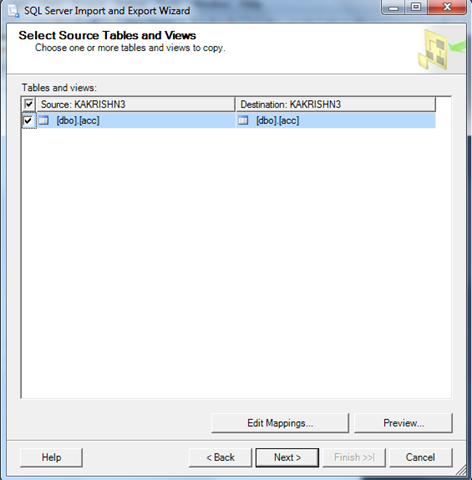 In Advanced Scripting Options screen; choose the option Schema and data for the Types of data to script option if you want to generate insert scripts for rows in tables and click OK to save the changes and to return to Set Scripting Options wizard screen. In the Summary wizard screen; you will be able to see a quick summary of all the options which you have selected so far. Click Next to confirm and generate the scripts. 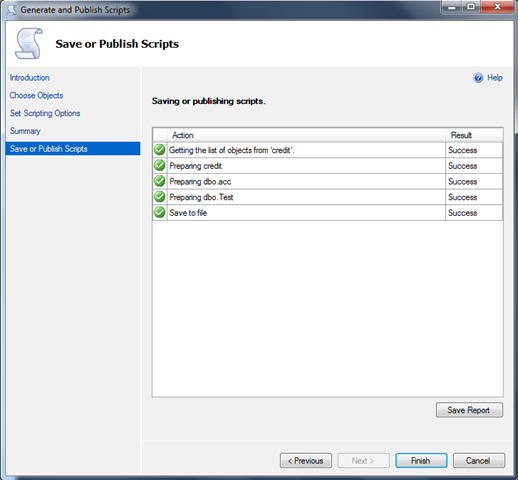 In Save or Publish Scripts wizard screen; you will be able to see a Success or Failure message against each object for which the script was requested to be generated. Finally, click Finish to close the wizard. 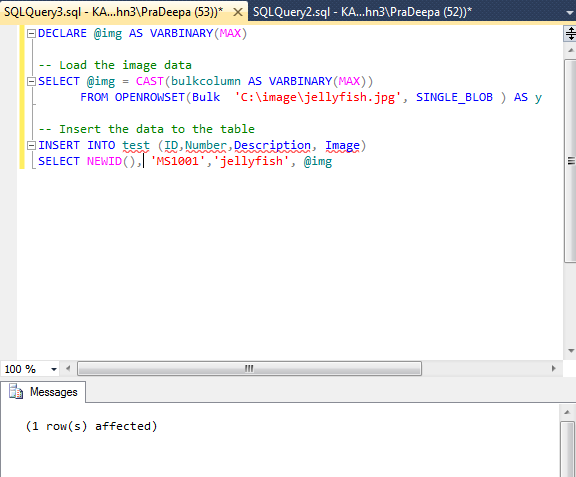 Once the script is generated you can view it like any other SQL Script.